White or tanned in colour with delicate skin. 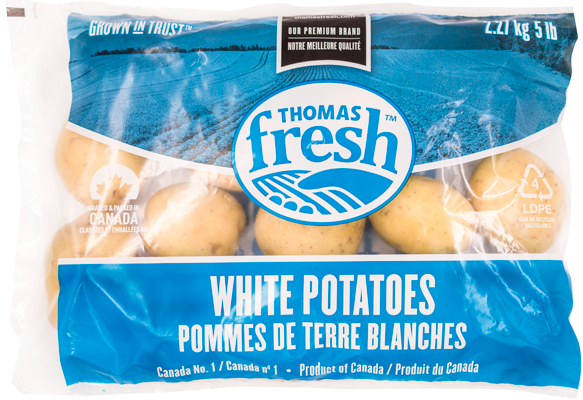 White potatoes are creamy and mild in flavour. 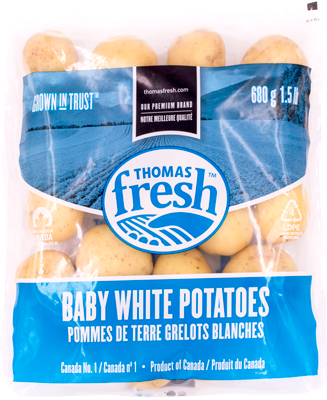 Best for boiling, roasting, frying or mashing. 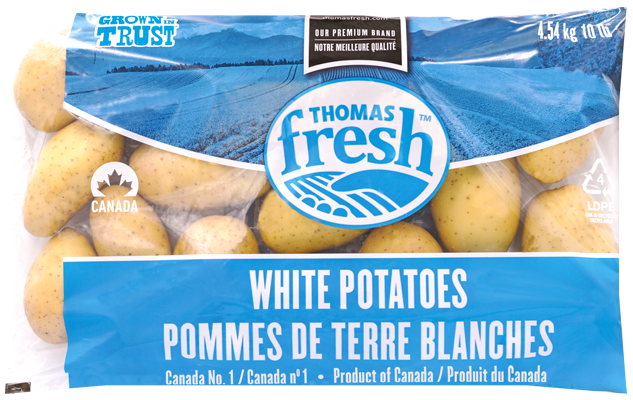 White potatoes pair well with meats like poultry or beef. 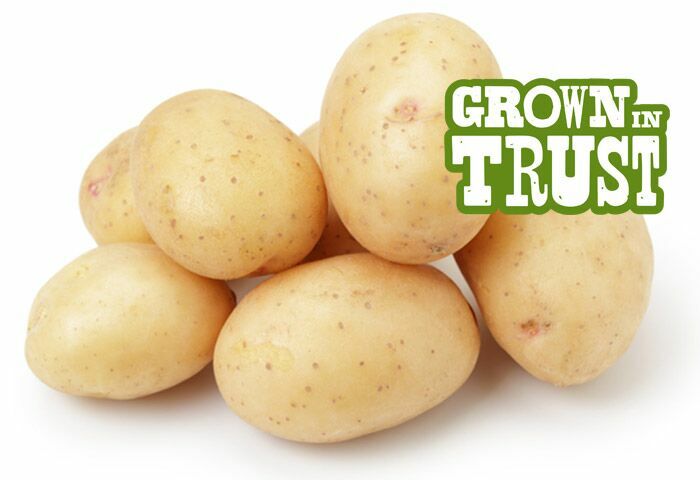 The average Canadian eats 71 kg of potatoes per year!